OnePlus is a very well known brand which became pretty famous in the last couple of years. It is a Chinese origin smartphones manufacturer brand which has produced three phones as of now. 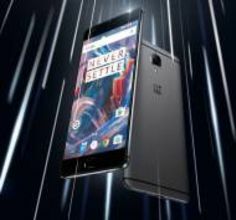 This year it is competing amongst the top flagship models such as Apple iPhone 7 Plus, Google Pixel XL, Samsung Galaxy S7 Edge.The OnePlus 3 is abbreviated as ‘OP3’ for convenience. First, this smartphone was announced at a virtual reality event which expectedly took place earlier this year. The OnePlus gave the Loop VR headsets to use along with this smartphone for testing and this way publicized it too. This phone’s main target audience is the middle-class people who require a smartphone with all possible high-end features but at a nominal price too. The predecessor model in this series of phones was the OnePlus X. Previous to this the OnePlus 2 smartphone which was a flagship device too had faced a lot of criticism. So, in OnePlus 3 extra care has been taken to perfect it in all possible ways. The key USP’s of this smartphone are its build, sleekness, and high-end performance. Let us look at the review of other relevant specifications and price of OnePlus 3. Unlike the previous OnePlus models, this is first time the manufacturers have experimented with a fully anodized aluminium metal body. The unique sandstone rear of OnePlus smartphones are not retained in OnePlus 3 phone. Also, the OnePlus 3 is much thinner than its previous models. It feels premium in hand too. The OnePlus 3 is not slippery as most other smartphones which have the metallic body. The length of this phone is 152.7 mm, and its breadth is 74.7 mm. The thickness is very less just being 7.4 mm. 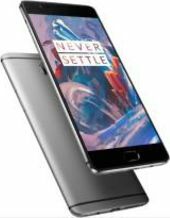 The OnePlus 3 weighs moderately with an actual weight of 158 g. The protection given to this smartphone’s display and the rear panel is Corning Gorilla Glass 4. The display type used in OnePlus 3 is the Optic AMOLED capacitive touch screen with 16M colours. It is 5.5 inches in size and has a screen-to-body ratio of 73 %. The resolution of OnePlus 3 screen is 1080 x 1920 pixels. It has good multi-touch feature. It comes in three different colours namely Black, White and Gold. The OnePlus 3 runs on the Android OS v 6.0.1. It is equipped with the Marshmallow OS, which is the latest of the Android OS till date. The chipset used here is the Qualcomm MSM8996 Snapdragon 820 processor. Also, in addition to the Android OS, this smartphone is supported by the Oxygen OS, which is unique to OnePlus smartphones. The central processing is taken care of by a pair of processors. A dual core Kryo processor with processing speed of 2.15 GHz and another Kryo processor with a Clock speed of 1.6 GHz is present. The graphics interface is taken care by a very well known GUI. The Adreno 530 GUI take care of all graphics. The OnePlus 3 has 64GB of internal storage capacity. Here one slot is solely dedicated to one sim card. There is no option of expanding the memory externally using a microSD card. The RAM memory of OnePlus 3 is an amazing 6 GB and that too at reasonable price. The OnePlus 3 comes with dual cameras. The primary camera comes with 16 MP and an aperture focal length of f/2.0. The sensor size used in OnePlus 3 is 1/ 2.8 inches. The pixel size used is 1.12 micrometer. The OnePlus 3 comes with an LED Flash. The front camera is 8 MP with an aperture of f/2.0. The sensor size used in OnePlus 3 is 1/ 3.2 inches. The pixel size used is 1.4 micrometer. The additional supportive features available are dual video call and Auto HDR. The enhancement features found in OnePlus 3 at affordable price are Autofocus, face detection, OIS, touch focus and panorama. The audio in this device is excellent. It comes with some high-quality speakers which give excellent clarity. It does not have a functional FM Radio. The primary camera can record with a resolution of 2160 pixels at 30fps. The front camera too can record with a resolution of 1080p at 30fps. This smartphone comes with a user non – removable Li – Ion battery. It has a maximum capacity of 3000 mAh. The talk time available on an average is up to 24 h on 3G mode. The music playback time is up to 70 h. It is a dual sim phone. Both the sim slots are nano sim type. GSM network has used. Both the sims come with 3G and 4G compatibility. Basic wireless connectivity features are also present. What are the dimensions of OnePlus 3 Prime? OnePlus 3 measures 152.7 x 74.7 x 7.4 mm/6.01 x 2.94 x 0.29 inches (Height x Width x Thickness). What is the weight of OnePlus 3? OnePlus 3 weighs around 5.57 oz. (158 grams). Which Graphics Processing Unit (GPU) is used in the OnePlus 3? Adreno 530 GPU has been used in the SoC. Is the front glass of OnePlus 3 scratch resistant? The front panel is protected by Corning Gorilla Glass 4. Is OnePlus 3 a dual SIM phone? OnePlus 3 has a dual SIM slots where both slots accept Nano-SIM cards. Does OnePlus 3 allow storage expansion via micro SD card? No, OnePlus 3 doesn't have a micro SD card slot. What is the storage capacity of OnePlus 3? 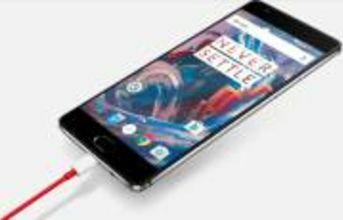 OnePlus 3 offers 64GB internal storage. What colour options are available for OnePlus 3? The OnePlus 3 is available in Graphite and Soft Gold colours. Is there a 3.5 mm headphone jack is available? Yes, OnePlus 3 has a 3.5 mm audio jack. Which processor is used in OnePlus 3? Qualcomm Snapdragon 820 MSM8996 Quad-core processor has been used in OnePlus 3. How much RAM does OnePlus 3 offer? OnePlus 3 offers 6 GB RAM. How is the display quality of OnePlus 3? OnePlus 3 features a large 5.5 inches Optic AMOLED display with 1080 x 1920 pixels resolution and 401 ppi pixel density. Which operating system runs on the OnePlus 3? OnePlus 3 runs on Android 6.0 (Marshmallow). Is there a fingerprint sensor available in OnePlus 3? Yes, OnePlus 3 features a fingerprint sensor. How many other sensors are available in OnePlus 3? Proximity, Accelerometer, Compass and Gyroscope sensors are available in OnePlus 3. What is the battery capacity of OnePlus 3? OnePlus 3 packs a 3000 mAh Li-Ion Battery. No, the battery of OnePlus 3 is non-removable. Does OnePlus 3 support Fast Charging of battery? Yes, you can charge 60% battery within 30 minutes. No, OnePlus 3 does not have FM Radio. No, OnePlus 3 is not waterproof. Does OnePlus 3 have NFC? Yes, OnePlus 3 sports NFC. What are the camera specifications of OnePlus 3? 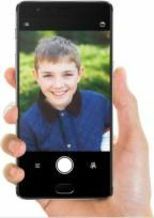 OnePlus 3 sports a 16MP rear camera with f/2.0 lens aperture, phase detection autofocus, OIS and LED flash. The phone also features an 8MP secondary camera with f/2.0 lens aperture. Does OnePlus 3 offer Optical Image Stabilization (OIS)? Yes, it does have Optical Image Stabilization feature. Describe the video quality of the phone camera? Yes, you can shoot 2160p videos at 30fps and slow motion 720p videos at 120fps. Does it support 3G and 4G network? Yes, both North America and Global models of OnePlus 3 support almost all network bands in 3G and 4G LTE networks.